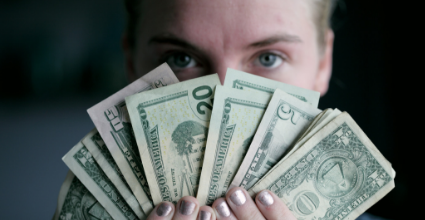 When you receive an unexpected windfall (whether it’s from a tax refund, work bonus, or a cash gift), it’s always a good idea to be proactive about how you’ll spend it instead of letting it just blow through your checking account. If you decide to sock away some or most of your refund money, don’t be lazy about it. Keeping all of that cash in a low-interest savings account or an ordinary checking account with little to no interest at all will dramatically decrease its growing power. For many people living paycheck to paycheck, donating to charity can take a back seat on their list of priorities.